To protect humans and nature from electromagnetic hazards, the health and safety legislation for the deployment of (cellular) base stations (e.g. LTE, UMTS, GSM, IS-95, IS-136, ...) becomes more and more restrictive. This is driven by the goal to reduce health risks especially for young children and for persons working/living close to radiating antennas. Different public authorities issued recommendations based on guidelines formulated by the International Committee on Non Ionising Radio Protection (ICNIRP). 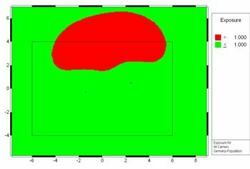 Today, these recommendations must be fulfilled for each new transmitting antenna. The recommendations define limits to protect the public and those working close to transmitting antennas from electromagnetic field hazards. Therefore an assessment of the radiated electric and magnetic field strength for different frequency ranges must be carried out before installing a base station or transmitter. 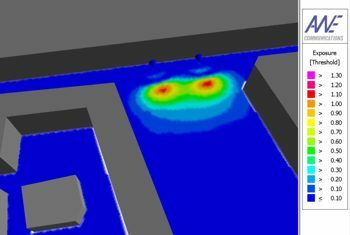 The figure shows the superposition of the electric field radiated from two GSM 900 antennas mounted at the wall of a building in a dense urban scenario. ProMan's propagation modules can accurately predict the radiated electric and magnetic fields of antennas in arbitrary distances to the antennas. 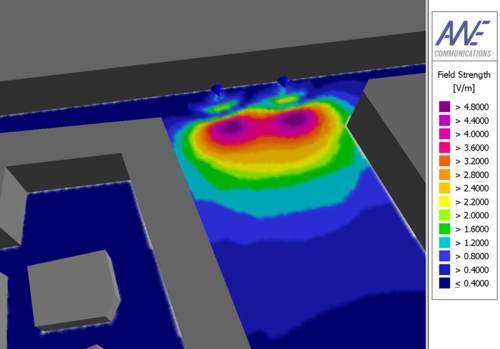 In combination with the NET-E module, ProMan can prevent mobile network operators of conducting field strength measurements around each antenna (as these are very costly). 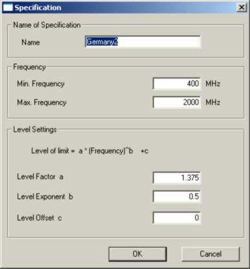 With the NET-E module in ProMan the user can define the thresholds for electromagnetic fields for different frequency bands. 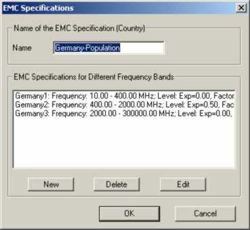 Individual thresholds (for different frequency bands) can be defined for each country individually to adpat the NET-E module to the different national and international EMC standards. 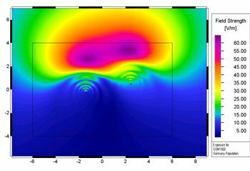 Based on a mathematical description of wave propagation phenomena (for each antenna site), the NET-E module is superposing the radiation from all antennas in the selected frequency band. 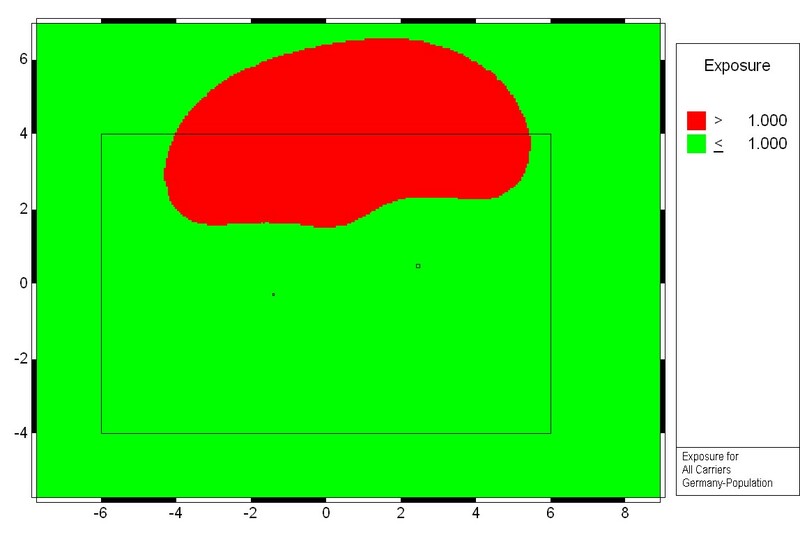 (in the GSM band) this leads to the exposure plot.